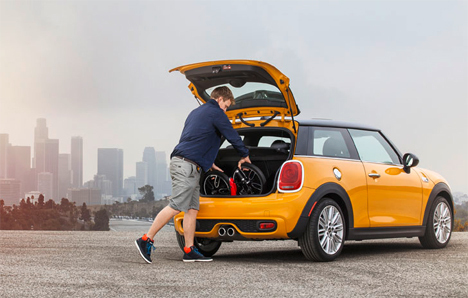 MINI is known for its tiny, adorable cars, but in November 2014 they joined the ranks of companies looking toward greener, even smaller transportation. 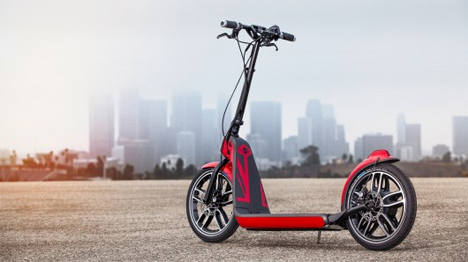 Their Citysurfer electric scooter was designed to cut down on traffic congestion in busy urban areas by providing a “last mile” solution. 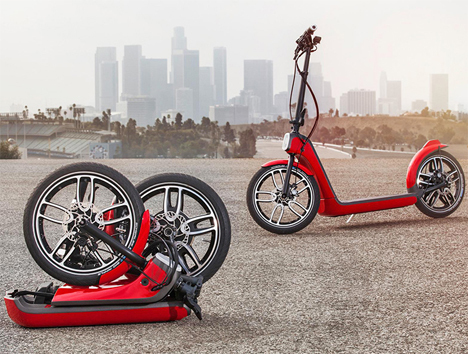 With the foldable scooter, motorists can park outside of the city center and then ride the rest of the way to their destination. 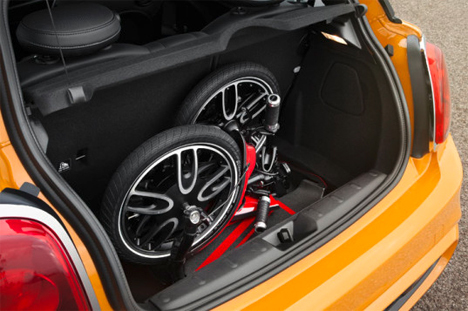 The Citysurfer folds up small enough to fit into the back of a MINI, which is very impressive when you consider just how tiny an area that is. Of course, it can be stashed and carried in other car makes, as well. At just 40 pounds, it’s substantial enough to feel like it isn’t going to break when you hit a bump but light enough that almost everyone will be able to easily lift it into the trunk or even onto a bus or train. 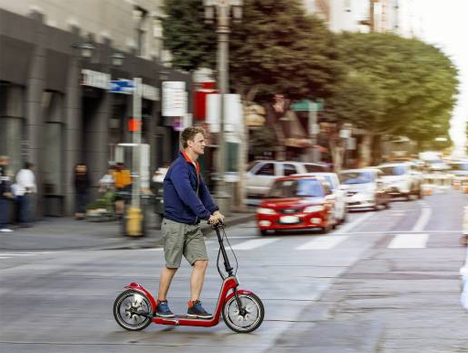 The retro-styled little scooter has a top speed of 15 MPH and a 10 to 15-mile range. Its lithium-ion battery can be charged from a normal wall outlet. The motor is located in the rear wheel and acceleration is controlled with the thumb. It’s not activated until the user first pushes off with his or her foot and reaches a minimum speed – a smart way to avoid falls from too-fast motorized starts. Large wheels let the scooter handle uneven terrain and three separate braking systems keep the ride smooth and safe. 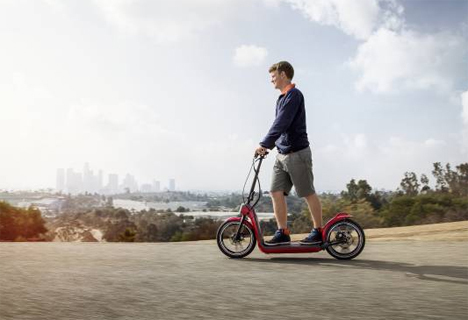 Alas, the Citysurfer isn’t yet available for purchase, and MINI isn’t handing out details on when or if it might be produced commercially.